Second Chance Animal Rescue (SCAR) is a pro-life shelter and foster care network. Our goal is to save as many unwanted animals from death-row pounds and neglectful living situations as we can. Because they all deserve a second chance at life. 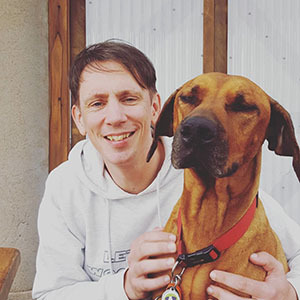 Our team comprises of animal care professionals, foster carers and volunteers who work tirelessly to educate the community about responsible pet ownership, and the work that SCAR does. All animals we take into care are vet checked, desexed, vaccinated and micro-chipped before being re-homed into loving families. Want to help even more? We are always looking for foster carers and volunteers! If you aren’t able to foster an animal in our care, we’d could sure use your help in other ways. Volunteer duties range can include, administration, animal transportation or assistance at one of our many fundraising events. Tell us how you can help and we can find a role for you. For information about volunteering or fostering an animal please contact adoptions@secondchanceanimalrescue.com.au. Have you been looking for a new best friend for a while but just haven't found the right match? Well we are happy to tell you that your search is over!! Billy is the most amazing dog you will ever meet, don't believe us then come and meet him for yourself. Billy is a super smooch and will throw himself on the ground at the first opportunity for belly rubs. This little raisin loves being the center of attention and will keep you laughing for hours with his hilarious antics! Billy is a one man show and isn't interested in sharing the spotlight with any other furry friends. 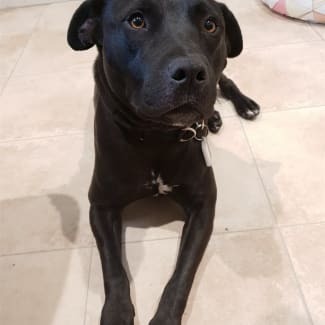 Billy will need a home where his humans are around more often than not or better yet if you have a dog friendly workplace he has proven himself as quite the office assistant during his time with us. **Application Process** When on the Pet Rescue profile push the "enquire about this pet" button. Follow the prompts to "send enquiry now" and in the message section please place information about the home you can provide. Include current/past pets and their breed, children including ages that live with you or visit, and any other information relevant to training/exercise/energy requirements. The information you provide helps us match the dog you've applied for to the most suitable home. We use this information in lieu of an application form. We do not take applications for dogs over the phone. We aim to reply to all applications within 5 business days. All of our dog meet and greets occur at the adoption center in Campbellfield. The majority of our dogs are in a foster home not at the shelter so you need to apply via the website to meet them. Thank you. www.secondchanceanimalrescue.com.au ...because they all deserve one! Peter is a companion cat. He is friendly, inquisitive, affectionate, and exceptionally well behaved. He's content spending time on his own when you're busy at home, but does like to chill with you in your down time. And, if you're eating, sleeping, showering, or going to the toilet...so is Peter. He's still getting used to being alone for more than a few hours at a time, but is generally relaxed and gentle in nature. Perfect for someone living alone, or at home a lot for whatever reason...but with a bit of love, Peter will probably fit in anywhere. 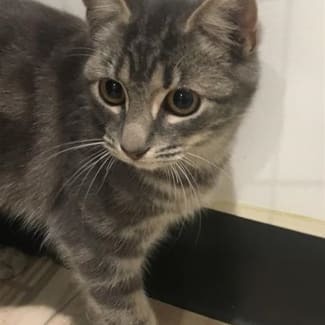 LOCATION ADOPTION @ SCAR CENTRE *Adoption Process* This baby is located in our Adoption Centre 1/30-34 Adrian Rd Campbellfield VIC - open for meet &amp; greets / adoptions 9am-4pm Tuesday-Friday and 9am-2pm Saturday. Always best to give us a call first (9357 0834) before you come down to avoid any disappointments if you have your heart set on a particular cat, but we often have many others for you to meet that you may fall in love with! www.secondchanceanimalrescue.com.au ...because they all deserve one! Meet Bambi Bambi is a beautiful bouncy girl who loves to play and cuddle. She loves running around chasing toys, socks, string or really anything that's moving! Most often found soaking up the sun asleep or cuddled in with my human friends. Bambi is a social girl who loves new people and gets along with everyone she meets. 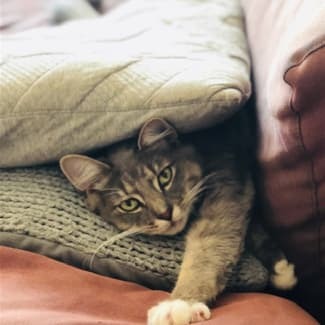 She especially loves playing and hanging out with an older cat friend, so would suit a house with another cat or potentially a dog. 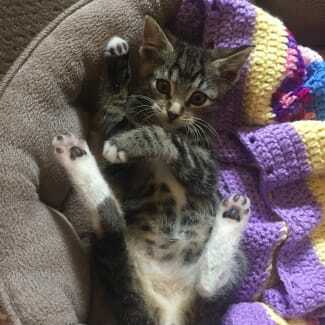 This little girl is looking for her new furever home and would love to meet you. LOCATION ADOPTION @ SCAR CENTRE *Adoption Process* This baby is located in our Adoption Centre 1/30-34 Adrian Rd Campbellfield VIC - open for meet &amp; greets / adoptions 9am-4pm Tuesday-Friday and 9am-2pm Saturday. 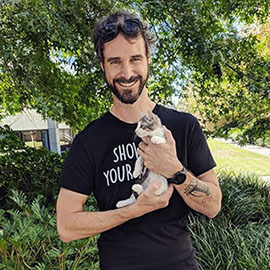 Always best to give us a call first (9357 0834) before you come down to avoid any disappointments if you have your heart set on a particular cat, but we often have many others for you to meet that you may fall in love with! www.secondchanceanimalrescue.com.au ...because they all deserve one! Meet William, This stunning boy will melt your heart with his gorgeous face. He loves to zoom around the house playing with his toys. He loves a snuggle too, so when there's a free lap hes there. Can this sweet boy be your new best friend. LOCATION ADOPTION @ SCAR CENTRE *Adoption Process* This baby is located in our Adoption Centre 1/30-34 Adrian Rd Campbellfield VIC - open for meet &amp; greets / adoptions 9am-4pm Tuesday-Friday and 9am-2pm Saturday. Always best to give us a call first (9357 0834) before you come down to avoid any disappointments if you have your heart set on a particular cat, but we often have many others for you to meet that you may fall in love with! www.secondchanceanimalrescue.com.au ...because they all deserve one! My name is Ron and I have a very loud purr, particularly while enjoying a cuddle from my human mummy. When I'm not snuggling, I love to explore and find new things and old things to play with. I am easily amused with string, paper, cardboard, anything really. 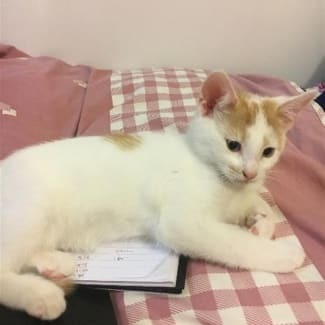 LOCATION ADOPTION @ SCAR CENTRE *Adoption Process* This baby is located in our Adoption Centre 1/30-34 Adrian Rd Campbellfield VIC - open for meet &amp; greets / adoptions 9am-4pm Tuesday-Friday and 9am-2pm Saturday. Always best to give us a call first (9357 0834) before you come down to avoid any disappointments if you have your heart set on a particular cat, but we often have many others for you to meet that you may fall in love with! www.secondchanceanimalrescue.com.au ...because they all deserve one!